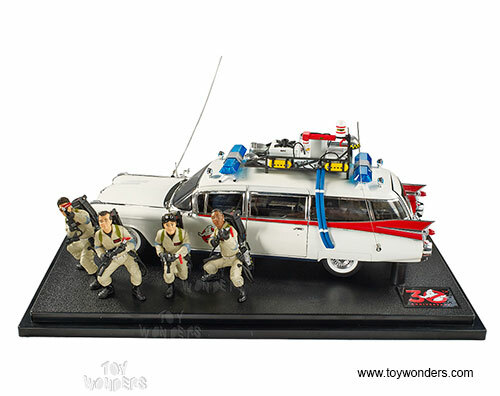 BLY25/9964 Mattel Hot Wheels Elite - Ghostbusters Ecto-1 Ambulance with figures. 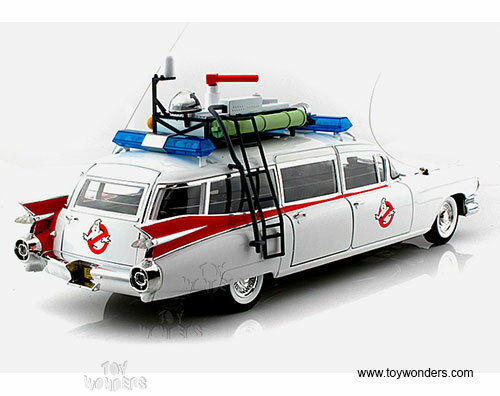 1:18 Scale diecast collectible metal car with openable hood, side doors, and rear door. 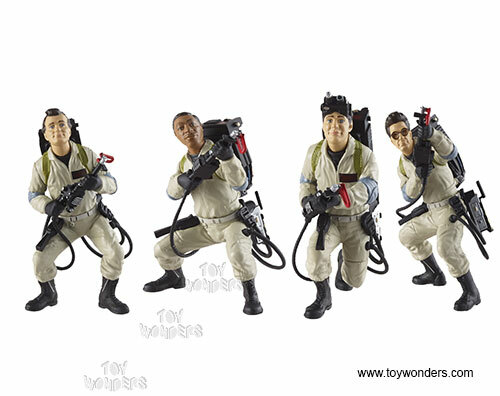 Includes a set of four plastic figures. 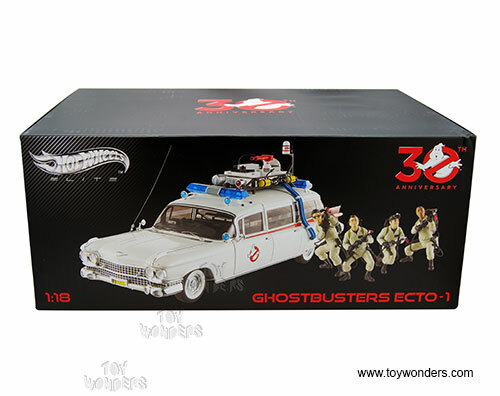 This Ghostbusters Ecto-1 is approximate 13" long diecast metal car. Individually packed in a box. 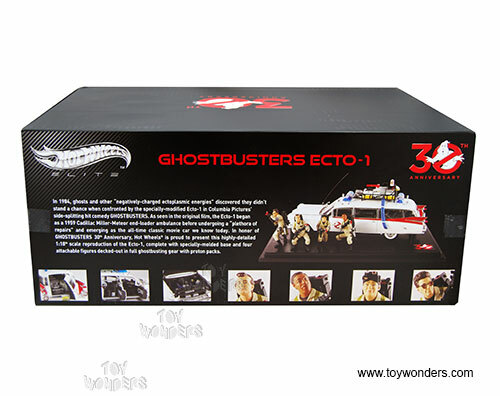 Box size: 17"L x 7.5"W x 7"H. Manufactured by Mattel. 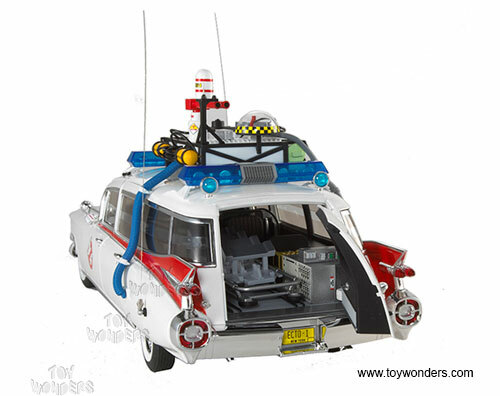 BLY25/9964 is in WHITE color. 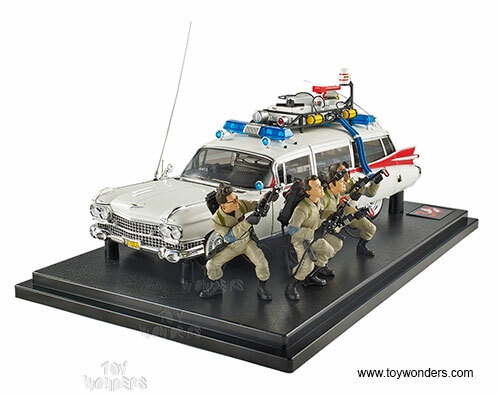 To see more Mattel collector die-cast vehicles (click here).